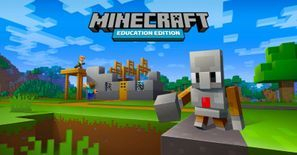 Minecraft: Education Edition is a collaborative and versatile platform that educators can use across subjects to encourage 21st-century skills. I am dedicated to introducing Minecraft Education as a key teaching and learning resource into classrooms. As a Global Minecraft Mentor, I have participated in global conversations with experts and innovative teachers exploring and sharing the best ways to engage as many students as possible in this online gamification tool. Global Minecraft Mentors are educators who have committed to teaching others how to play and teach with Minecraft. The 2018 cohort of Minecraft Mentors is made up of over 300 educators from 70 countries. As a Minecraft Mentor, I am dedicating to assisting schools and teachers create teaching programs that include gamification as a key teaching resource. To download Minecraft Education, click here. Our class blog can be accessed here. Our Minecraft Club blog can be accessed here. Learn how Minecraft Education was implemented in a NSW Department school here. Student work can be viewed on YouTube here. A snippet into a typical teaching day. A research report was also written and published based on the use of Minecraft at RHHS. Minecraft Education 2018 at the Powerhouse Museum, Sydney, Australia. Why Minecraft Education? at the 2018 Microsoft Australia Webinar, North Ryde, Australia. Minecraft in the Classroom at the 2016 #TMTomorrow TeachMeet, Sydney, Australia. Minecraft in the Classroom at the 2015 Kent Tech Expo, Seattle, USA. Minecraft Edu and Curriculum - HELP 2015 at the Hawkesbury Education Leaders Program, Richmond, Australia. Minecraft Edu and Curriculum - Principals at Microsoft Australia, at Microsoft Australia, North Ryde, Australia.